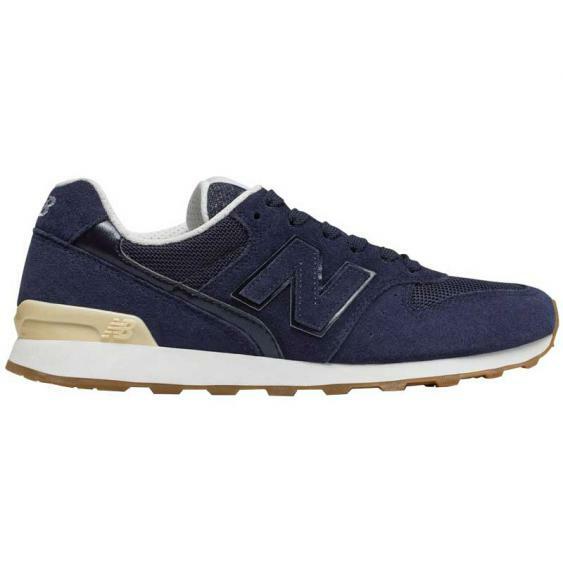 Slim and stylish perfectly describe the New Balance 696 sneaker. This women's lace up has a suede and mesh upper with contrasting texture detail and the New Balance "N". The interior is lined with a soft textile that's easy on the foot and the cushioned footbed is removable in case you want to replace it with an insole of your own. The durable rubber outsole of the 696 is textured for traction so you're surefooted where ever they take you. Lace up a pair of the New Balance 696 sneakers for the perfect ending to your casual outfits. At New Balance they adhere to a unique set of philosophies. New Balance focuses on function over fashion; making shoes in multiple widths and continuing to make many shoes in the US. New Balance doesn't just make shoes that support your arches and look great, they make the shoes America wears.